Here at Beachside Vacation Rentals we want to make sure that you get the best deal possible on your vacation rental! 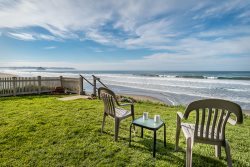 Don't miss this opportunity to book a beach vacation rental in Cayucos!! 15% OFF rental rate in summer...WHAAAATTT???? Yes you are reading this correctly. Book today! Call (805) 995-3680. 4th of July not applicable. Does not apply to previously made bookings.